Jefferson Waterman International is providing political representation and media support to President Alassane Ouattara, the internationally recognized winner of Ivory Coast’s November 2010 presidential elections. JWI’s services, provided on a pro bono basis, are geared to reinforcing international pressure on defeated former President Laurent Gbagbo to step down.  Jefferson Waterman International, headquartered in Washington, D.C., is representing the interests of President Alassane Ouattara, the internationally recognized winner of Ivory Coast’s November 2010 presidential elections. JWI is providing President Ouattara with U.S. and international political representation as well as media support on a pro bono basis. The goal of JWI efforts is to sustain and intensify global pressures on the defeated former President Laurent Gbagbo to accept the election’s outcome and leave office. Authorized by President Ouattara to represent his new government’s interests shortly after the election, JWI has reached out to U.S. and international government leaders, the media, academics, and the global public, including Ivorians living in their country and elsewhere. In January, JWI facilitated a Center for Strategic & International Studies (CSIS) audioconference with President Ouattara, who participated from his current location in the Golf Hotel, where he is protected by a contingent of UN peacekeepers. The Washington, D.C., event was attended by approximately 140 policymakers and thought leaders, with over 200 viewers tuning-in live online. A video of the event, “A Discussion with the President-Elect of Côte d’Ivoire,” remains posted on the CSIS website for viewing and downloading. In December, JWI established the website www.ivorycoastdemocracy.com on President Ouattara’s behalf, as well as social media pages on Facebook (friend Ivory Coast Democracy) and Twitter (follow @IvoryCoastDemoc). In less than a month, traffic on the website soared, at last count reaching visitors from 67 countries, including residents of the Ivory Coast. JWI is well positioned to assist President Ouattara. For more than 15 years, the firm has represented the interests of governments, political groups, and major international corporations, and has become known for its particular effectiveness in matters related to developing nations and politically sensitive environments. The firm has especially extensive experience in matters concerning West Africa. Its Africa Advisory Board, which includes two former U.S. ambassadors to African nations as well as senior retired U.S. military officials, is providing JWI with strategic advice on representation of President Ouattara. Additionally, JWI is working in tandem with Covington & Burling LLP, which is providing President Ouattara with legal support.